Discussion in 'iOS 11' started by immortalHD, Jul 31, 2017. I was wondering whether HEVC/HEIC works on iPhone models 6s and earlier? I've seen it listed in some places that HEVC only works on iPhone 7. 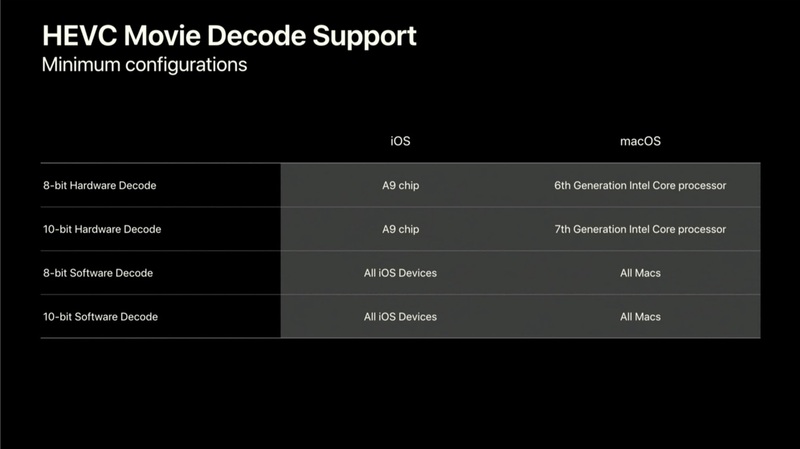 For HEIC you need to have an A9 chip or greater. So the lowest possible hardware is iPhone 6S/6S Plus, iPhone SE and iPad (2017). 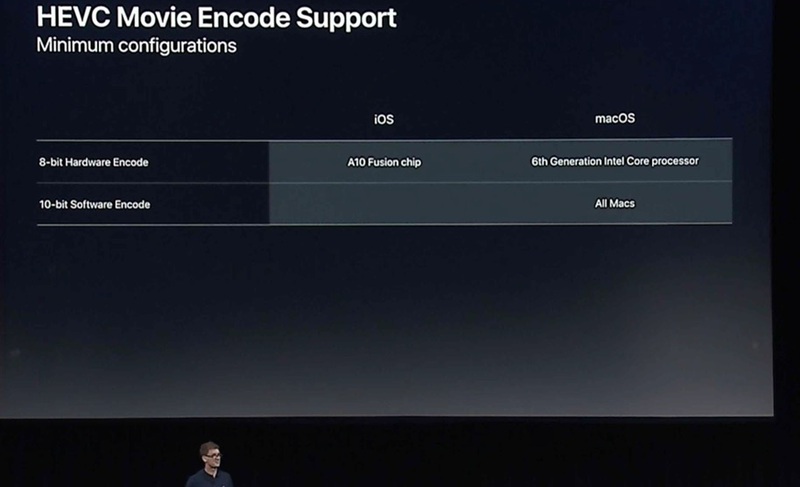 Only some iOS and macOS devices will have HEVC hardware encode support, but all Macs that run macOS Sierra today will be able to encode in software.